I'm really not worried about the 11 AM start on the road. Maybe I'm just not understanding the situation well enough, but it doesn't phase me at all. I think we are probably going to kick the snot out of Illinois. I actually expect a pretty easy win that still tells us nothing about this team in terms of their progress. My hope is that we can pull the starters midway thru the 3rd or early in the 4th, no one gets hurt, and we have time to rest up and heal before Michigan comes to town. Getting the bye week before Michigan helps us, I think, going into the meat of our schedule. Not sure if past history is haunting me, but I've always seen UM as the principal villain in the BiG, not the Buckeyes. Maybe because Joe could never beat Lloyd Carr, maybe because of 2005 and Dave Witvoet, hell, maybe because the Fab Four never paid taxes on that booster money. All that to say, it's safe to look past NW. They're gonna get waxed...then our guys are gonna get a nice weekend furlough next week to rest up for the big boys. Ugh. Single worst officiated game I ever saw. Still have images of Mario Manningham's feet coming down on the line, and who could forget the referee walking sideways to spot the ball? I thought that guy was drunk. Where he spotted it, vs. where the guy was down, he may have been. That was, I think, the best Nittany Lion team I ever saw over the course of a full season (I was in the Persian Gulf for much of the 94 season). Then again, the Ohio State game that went into OT a couple years ago was pretty bad too, in retrospect. Blue&White wrote: . . . I think we are probably going to kick the snot out of Illinois. I'd agree with you except PSU is playing Northwestern this week. 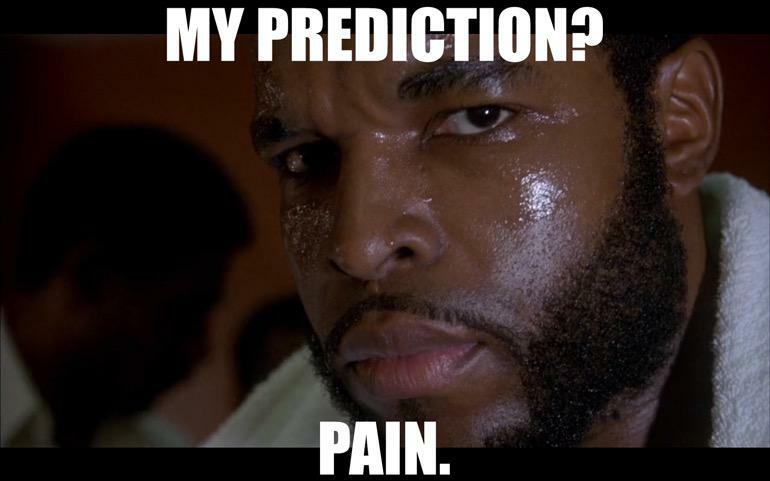 I think it's good form to identify the right team if you're going to predict pain. But maybe that's just me. I mean, hell, it even says Northwestern at the top of the post. Yes, but with an 11 AM start there will be plenty of time to take a short drive and then kick the snot out of Illinois. See, I didn't screw up. You guys just didn't understand. Sure, let's go with that. "It's supposed to rain on Saturday. Ordered up rain for practice," Franklin joked. "Stood out in it for two hours. We stand out and got great rain work. "It's supposed to rain on Saturday; our guys handled the rain, handled the noise. I think we had a really good week of preparation, I really do."